I get these calls a lot. Let’s face it, it’s hard to view your domicile with an objective eye. It’s the place you’re comfortable being naked in, the space that offers you refuge at the end of a craptacular day, the nest where you watch your squawking baby birds grow into happy, successful adults who eventually move out and catch their own worms. Have no fear. We’re happy to pop over and brainstorm fixes that will make you eager to throw open your front door to family, friends and the occasional Girl Scout selling cookies. Undertaking a minor project with a major impact. Changing out your light fixture can make a big impact without breaking your budget. Think about painting a wall or adding a backsplash tile or changing a light fixture. One of my favorite minor projects is adding a small built-in feature like floating shelves or a window seat with storage. The latter is great for people with kids and grandkids who have tons of toys that end up everywhere they’re not supposed to be (playroom – ha!). Hiding your little one’s stuff will open up your floor space and help create a calm environment. A window seat with large drawers will help you reclaim your room. When play time is over, scoop everything up and dump it into the drawers. Then fix yourself a martini, grab your laptop and pour over Pinterest while perched atop the toy booty. Rearranging or repurposing existing items like furniture and accessories. Rearranging your stuff is like shopping without spending money. Don’t forget about the details when you’re moving things around. Identifying statement pieces that support your existing design. 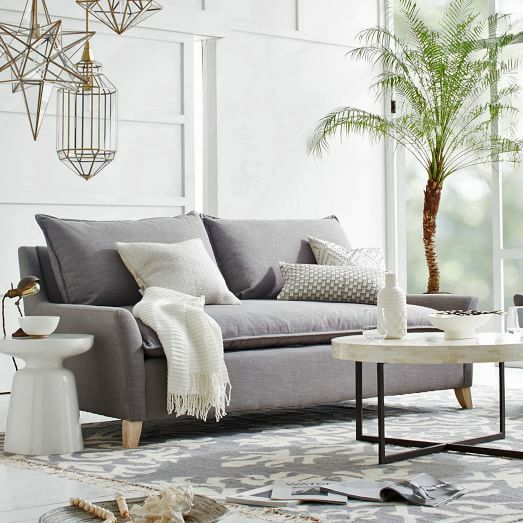 This Bliss down-filled sofa from West Elm is a statement piece that will fill you with bliss. Maybe you’ve got a large, empty room that’s got you stumped. We’d be happy to suggest a few key items that take it from “meh” to “meow!” by selecting some online examples for you to consider or shopping with you locally – as long as we can stop somewhere for coffee. (We love to support local businesses!) Perhaps it’s a pair of killer side chairs and an accent table, or bookshelves and a game table, or a fabulous rug or a large grouping of art objects. Assisting with seasonal decor and arranging. We can make your holidays less stressful by helping you ready your home for guests and all the fa la la la la they bring. Our homes are oftentimes the setting for large gatherings of family and friends, and we want the atmosphere to be just right, whatever the occasion. If you’re not a Martha Stewart-type, you might want some help, and that’s right up our chimney! We can take a look at your existing holiday decor, purchase a few new items and arrange your room so it looks like something you’d see in a magazine spread. 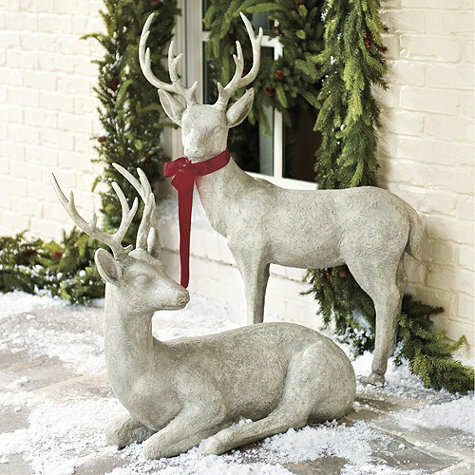 We might add something as simple as snowflake pillows or large groupings of candles with fake snow on them – you’d be amazed at what a difference in ambiance little touches can make. And, if you’re less stressed out with how your house looks, you’ll be able to enjoy the things that matter, like spending time with loved ones and making memories you’ll look back on when you’re old and crotchety.